I'm getting bored with going for crazy jaros and 1v1 spawn assassinations...so I decided to create this contest. The rules are simple, the person who gets the most perfections/exterms/long spree/KillDeath wins. This is just for bragging rights and possibly a HJ. Obviously you will have to create a new account which is very simple then by the end of 7/15 you must post a screenshot of your medals count. This is just a friendly competition for those who feel like getting a little sweaty this week. This competition will start right meow. Hey, I'm up for it. We should post a screenshot before we start, with the blank slate as proof. What happened to the last contest you tried to do? Souljah stop being so cunty. Marksman, that's a good idea. Post your screenshots before you start. GL all. If someone wants to just grind for exterms in swat then so be it. I don't think limiting the playlists is a good idea. If you get an exterm you can record it or take a screenshot to prove it wasn't swat. Gamertag is in the top right, medals are all zero. Or sniper hill, god forbid. -someone who's never hit a sniper hill exterm. 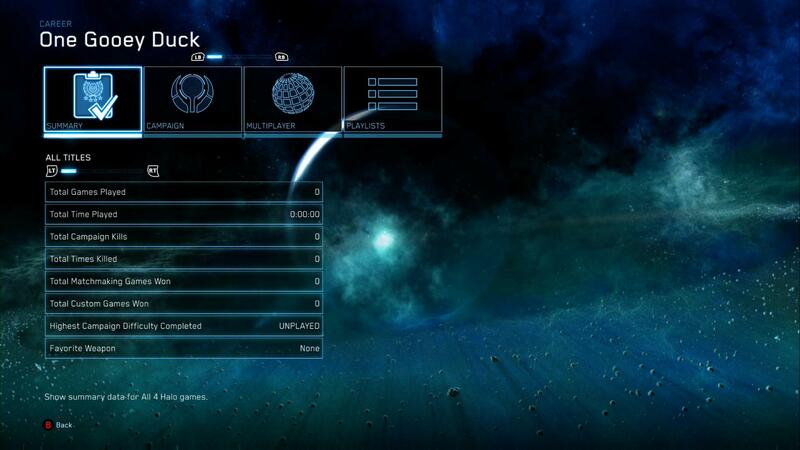 If you want to play halo 4, then you just go and have fun with that. Souljah you're being a stick in the mud. And Ben there is not incentive to cheat. This is just for fun. Let's have fun people. I'm mostly going to play Snipers, just as a heads up. Regular routine. 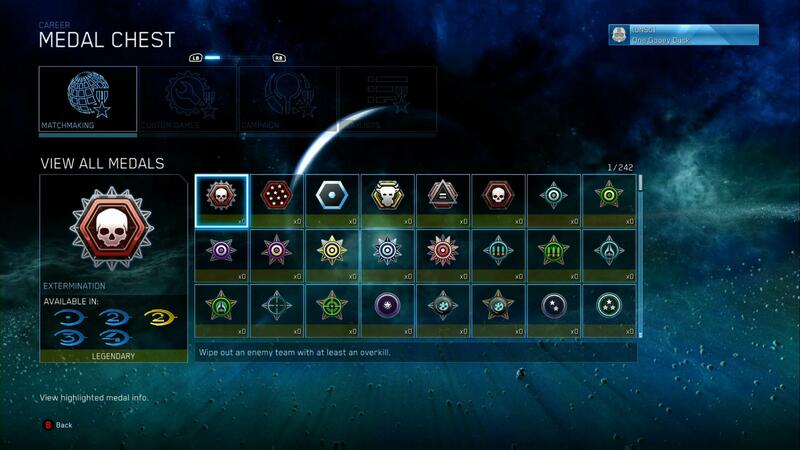 @Bl4ckout; I'm pretty sure you can get all the above medals in any MCC game. You just have to keep an eye on them yourself, unless you have the new medals activated (pls don't). Starting a bit late, but I think I can still do it. Got a spree of 29 first game, and I died because I got betrayed.. I won't update this much later of course, but I'm holding up surprisingly well after 5 games. 159 kills, 21 deaths, still keeping up the trend of getting 30+ kills per match even though I've only gotten KoTH once. Looking good, having fun. Have played mostly H2C but played a H3 and got an exterm. This is where my K/D is at atm. Do i get points for double shotting and rrbxing or nah? I'm going to extend it another week so maybe we can get 2 or 3 more people in this. OK this is where I ended up. Might try to participate in the next one of these. I saw this and had a good run in H5 and then notice it wasn't H5, but I'm down for MCC. Time well spent Morpheus, time well spent.